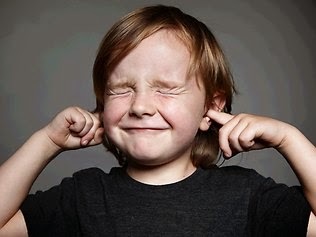 Hope and Healing Center: Why Will My Child Not Listen to Me? Why Will My Child Not Listen to Me? Over the years, I have met many parents who come to my office when they feel their child is not listening to them. When I inquire more about this, I am often told that their children are disrespectful, angry, and that their relationship is strained. My next question to the parent is – how well do you know your child? Most parents give me an answer which comes in different variations – however has the same content which is that they know their child well and that they feel their child can trust them no matter what. Each parent I have met has always wanted better for their child and strived to be better than their own parents. I have yet to encounter a mom or dad who did not love their child – regardless of the circumstances they were facing. Yet, more often than not parents are completely oblivious to the reason their child is behaving a certain way. Below I discuss certain reasons for children’s behavior, including “disrespect” to the parent and not listening. Children respond to their environment – most of us are not aware that children are emotional sponges. They can read our thoughts and body language better than adults can. That is why they are master manipulators! It is important that both parents are on the same page when it comes to parenting and the home environment. A lot of the times children will triangulate situations because they know they can. An example of this behavior would be “But dad said I could do it, I hate you mom!” and then stomping off or continuing to argue. If children know that there are adults in the home who communicate clearly with one another and back each other up in decision they have made about their parenting – children can’t go far. Many times I have had the privilege of working with families where mom was the “disciplinarian” and dad was the “cool parent” (or vice versa). The parents struggle with their parenting and the child most definitely knows this (don’t kid yourself to believe otherwise!). 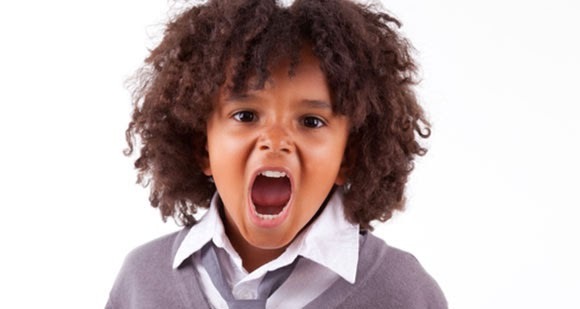 If you create a home environment where the children know who is boss – meaning BOTH parents – and that you will not allow them to manipulate you into saying yes, their negative behavior will decrease and you will notice them starting to “listen to you” more. Parents can do a lot more than discipline – you have absolutely read this correct! It is called emotional regulation and emotional coaching. Parents who are comfortable with their feelings are better able to model appropriate feeling responses to their children. If you as the adult in the home explode the minute things are not going your way – why are you expecting different from your child? After all, the best teachers in the world we have are our parents! When your child is upset or sad, be there for them. Don’t try to make them feel better – be there in that moment with them. Tell them you understand and that feeling this way is okay for the situation they are in. That they are doing a great job and that you are there for them to assist in any way you can. If our children don’t experience feelings – they won’t be able to handle these feelings as adults. The more emotionally vulnerable your children are around you – the better! Just remember – always be the best role model you can be physically as well as emotionally! I hope this helps get you started on the path to a happier and better relationship with your child. Remember, it is not the child’s responsibility to fit your needs – you are the parent you MUST meet THEIR needs. Children’s behaviors are merely the reflection of what is truly going on inside them. They are confused and are learning. Be the parent they need – not the parent you think you should be. It is your job, as the parent and adult of the home, to be the responsible one and teach your children appropriate emotional regulation through emotional coaching. Once children have their foundation set – it becomes easier to talk to them and they start to listen better because they know you understand them.